This is the little pub just down the road from where I live. 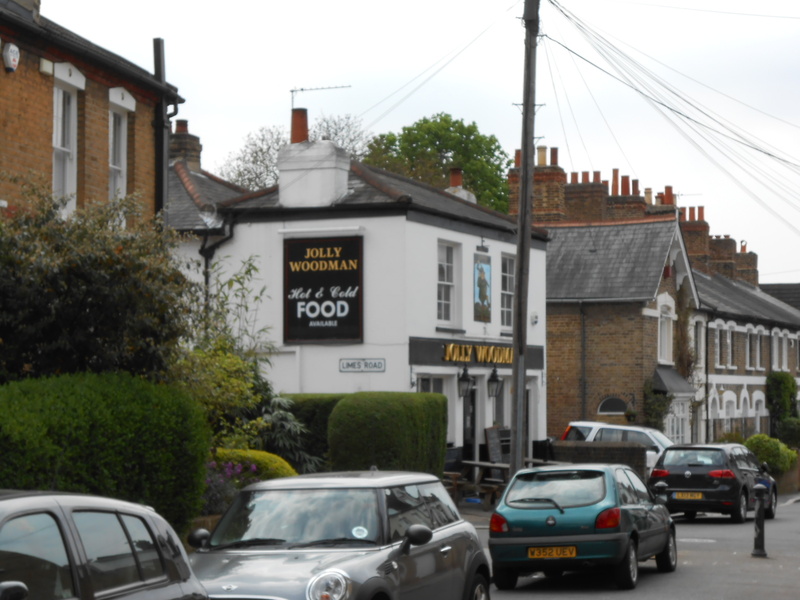 It is said to be the best pub in Beckenham. Well I won't argue with that. What a great place it is, friendly, full, and for me, the ideal place to imbibe at the end of a very busy week. Tomorrow, I will meet my daughter, Joanne, for a lunchtime pint. I feel I've earned it this week what with blogging, video making, writing, music practice, and little bus journeys here and there. This morning I had a voice test with the choir mistress of Beckenham Ladies Choir. That seemed to go well, and I will be singing in the concert at St George Church, Beckenham, on 8th June. I'm looking forward to that, especially as it is a joint concert with the Blaenavon Male Voice Choir. You can't beat a bit of Welsh for good voices - I hear there will be a touch of 'You'll never walk alone,' It is a charity event and you can get a ticket either at the door (7.30 p.m. start) or else from the Beckenham Bookshop on the high street. And now I'm going to sign off, take a peep at what my Face Book friends are up to, then make a nice cup of tea. That should bring me nicely to Alan Bennett's History Boys, my little TV treat of the night. Do tap me on the shoulder and say hello if you are in the Jolly Woodman tomorrow lunchtime. Whatever you are doing this coming weekend, have a good one, and don't forget to spread a little happiness wherever you can.